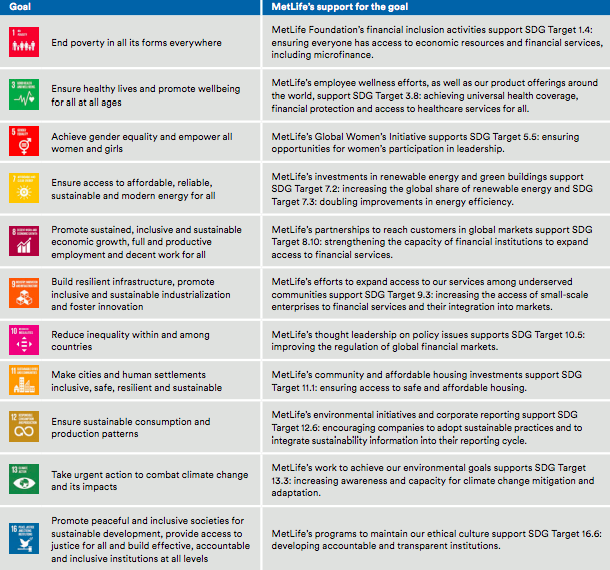 MetLife contributes to the Sustainable Development Goals through our business operations and global initiatives. This year, we are again providing an Overview summarizing our efforts along with a more detailed full report. To view either the Overview or the full report, and to learn more about MetLife’s corporate responsibility activities, please visit www.MetLifeGlobalImpact.com.